Replication is ideal if you need medium to large quantities of CDs/DVDs. 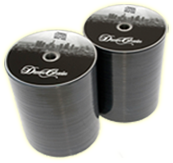 Duplication is ideal if you need less than 500 CDs/DVDs or you need very fast turn around. Did you know that most VHS and other kinds of tapes wear out after 8 to 12 years – even if you NEVER WATCH THEM! 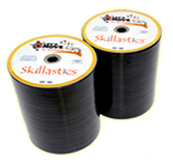 Our printing quality is top notch and our prices are very competitive. Call us for a price quote.